Stand alone or series: Stand alone. How did I get this book: Bought. Why did I read this book: It has been on our radar for a long, long time. 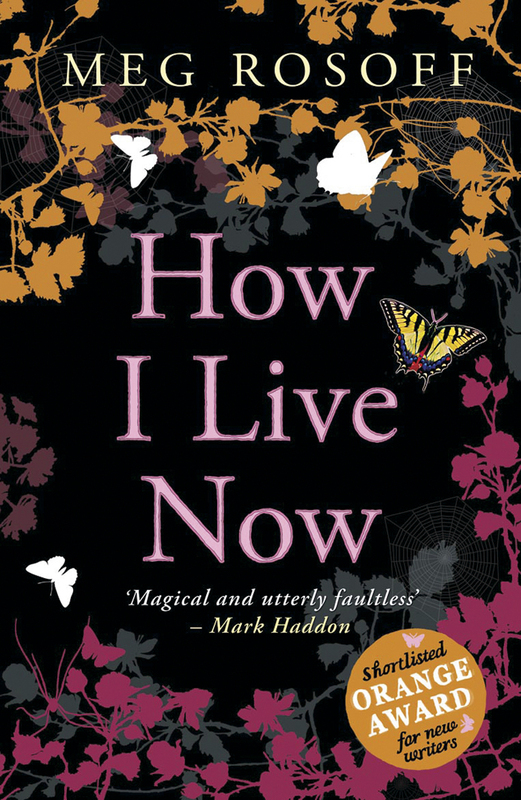 I had been waiting to read How I Live Now for a long time now, especially after reading reviews by some of my favourites bloggers (and by a few newspapers too, but who cares about those? I trust my favourite bloggers so much more. Angie even NAMED her adorable child after a character in this book) and finally the time came with YAAM. It’s not hard to pinpoint what makes How I Live Now such a compelling read: its evocative, atmospheric narrative with its lack of both punctuation and dialogue speech marks and the non-stop-I-can’t-breathe-must-keep-reading pacing more than anything else are what kept me turning the pages voraciously. How I Live Now is not flawless but it is SO beautiful it hurts. Daisy is our protagonist and narrator. A 15 year old New Yorker who has been sent by her father to live with her late mother’s relatives in England. Daisy recounts her life in England with her weirdly magical cousins, from the idyllic first days gallivanting in the countryside, without adult supervision after her aunt goes on a trip to Oslo, to falling in love with her cousin Edmond. The narrative progresses with the ensuing chaos after England is invaded, the War starts and the cousins are evacuated and separated; the high point is Daisy’s relentless strive for survival alongside her youngest cousin Piper and her attempts to reunite with Edmond. 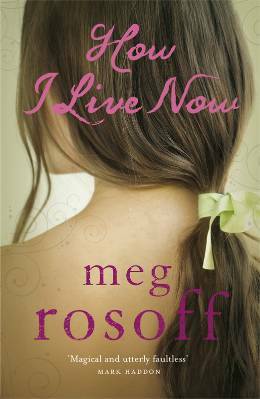 Once How I Live Now starts, I found it difficult to put it down. Part of this reaction comes from its nonstop narrative. I think the best way to describe is: it reads as though Daisy took a deep breath one day and decided to tell me, the reader, how she lived in those days in England and didn’t stop until she was done. The result is a rapport between the reader and Daisy that is hard to break because the narrative is inviting and intimate. I also find that is almost impossible to separate plot and character when it comes to this book. I think that both plot and narrative ARE essentially Daisy. And Daisy is, and consequently the narrative as well, self-absorbed and unreliable but also: funny, resilient, compassionate, and spirited. She is a doer and a survivor and among cousins that are almost mythical creatures (they have weird abilities like being able to talk to animals and communicate silently), she is also almost the most REAL one too. She is a force, a propelling force. “I don’t get nearly enough credit in life for the things I manage not to say. Does she do it? You will have to read to find out. But know this, the second part of the book is starkly different from the first part and it is heartbreaking and heart-warming and the final lines of the novel are incredible. There is also an aura of mystery surrounding the story because Daisy is a certain type of unreliable narrator – one who is self-absorbed and won’t look further than its own nose, at least to begin with. And this presents a twofold result. On one hand I felt utterly frustrated by this. And this is a very personal reaction to the story itself and how Daisy reacts to what is happening around her. A war is looming in the horizon, their country is invaded, the only adult they can count on is gone and yet Daisy doesn’t seem to be asking a lot of questions. Because of that, I couldn’t tell you WHO invaded England, WHEN or WHY. The story also has a certain “old days” feeling – the kids are homeschooled, they live off the farm but it is in fact some point in the near future. There are mentions of emails and mobiles and so I found it hard to believe that these kids would be so naïve and so insulated as to not ask simple questions, especially at their age. Daisy starts a sexual relationship with Edmond and although I have zero problems with the fact that they are cousins, and I actually loved their connection and love story, I do have a problem with how she never thought of contraception (I kept waiting for her to get pregnant). So this is on the one hand. On the other hand, the fact that the narrative is so destitute of certain realistic details it allows for the story to be stripped down to its bare essentials, to what is crucial: the people and how they survive in times of war. Because of that, the pesky details don’t really matter because all you need to know is how Daisy lived then and how she lives now. And what she has to do to get from one point to another. And THAT my friends is a story worth reading. Verdict: Even though I was slightly frustrated with the not-knowing, I fully appreciated the book for what it is: an engrossing, beautiful story of survival and love. Oh, I LOVED this book! I read it when it first came out in hardback over here & I just sunk into the voice and let it carry me away. Beautiful. I fully agree with you, though, that there is a frustrating element of not knowing the Where, When, How, Who, Why? of the war, etc. But it just doesn’t matter – not with the bigger picture. I love How I Live Now, too, though I had many of the same frustrations reading it as you did. Meg Rosoff is a very daring, admirable writer who has taken lots of risks with her books. Some pay off more than others, but I love the thought that goes into each one. Her recent Bride’s Farewell is amazing. Oh, I really enjoyed this one, too! Definitely a different, compelling read, and one I couldn’t read fast enough. I stayed up until the middle of the night to find out what happened to Daisy. One of my favorite dystopian reads ever. Nice review. I loved the book, though I was a tad grossed-out by the cousin thing. But, I guess that they didn’t grow up together, so it’s okay. Thanks for reviewing this awesome book. Looks like this one’s going on my TBR list. I wonder about the lack of speech marks though. I saw another book like that and I found it a bit ocnfusing. That won’t stop me reading it though. I love books that are as moving as this one sounds – I call it the M-factor and it sounds like this one has heaps of it. Rosoff is a fantastic writer. Just In Case stuck with me for days afterwards. I’m dying to get my hands on her latest one when it comes out in paperback. I loved this book so much. I read it in one day and I’ve read it thousands of times since. At first it was quite annoying and I wasn’t used to the fact that there wasn’t speech marks for any dialogue and I found it hard to separate speech from Daisy’s thoughts. However, I managed to get it. Sometimes I thought parts were too rushed but in a way that showed you Daisy’s character if you understand what I mean. Part two was my favourite I have to say. I cried throughout the whole of it and suspect I’ll be reading just that section of that book over and over for the rest of my life. I hated the ending but at the same time I loved it. I was glad it wasn’t what I was expecting, which was a soppy happy ever after. Which at times I love but now, after reading it, I’m glad isn’t in the book. It’s a clever ending and it doesn’t tell you everything and leaves some parts a mystery that you have to figure out yourself. I suppose it’s sort of a happy ending but it’s not the whole romantic, back together with your true love and a happy family sort of happy. I won’t spoil it all though. You will only like this book if you can put the time into it and have patience. If you can’t really be bothered with it and don’t put your mind to it, you’ll find it boring. If you don’t give up on it, it will be a fantastic read.